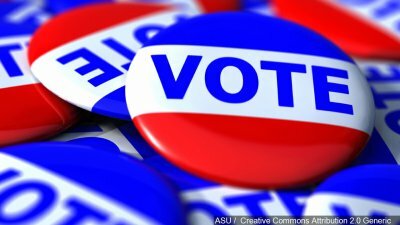 Early voting starts today and North Carolina’s steadily growing population is reflected in the latest voter registration numbers. As the 2018 general election gets underway, there are 7,049,452 individuals registered to vote — an increase of more than a quarter-million people over the same time two years ago, when there were 6,795,706 people on the rolls. Another noteworthy development is the continuing rise of unaffiliated voters. In 2016, 39.7% of registrants were Democrats, 30.2% were Republicans and 29.7% were unaffiliated, with 0.4% registered as Libertarians. Today, it’s 37.9% Democratic, 31.7% unaffiliated and 29.8% Republican, 0.5% Libertarian and just tiny handful registered as members of the Green and Constitution parties. Let’s hope the rising registration numbers are paired this year with high voter turnout. As a general matter, off-year elections tend to draw less participation — especially when there is no high profile statewide race like a U.S. Senate contest to attract attention. Most non-presidential elections in recent decades have had voter turnout percentages in the low-to-mid 40’s range. The last one in which there was no Senate race (2006) had a turnout of just 36.58%. The bottom line: Get out there and do your civic duty.